I am so happy! The French magazine Macrophotographie has published a 14 pages counting portfolio of my macro images in their latest nr. 5 issue. Also one of my images, called ready for take-off, is showing off on the cover! What an honour! My first French publication! I was pleasantly surprised when I received the magazine by post, and this was not only because of seeing my own portfolio. 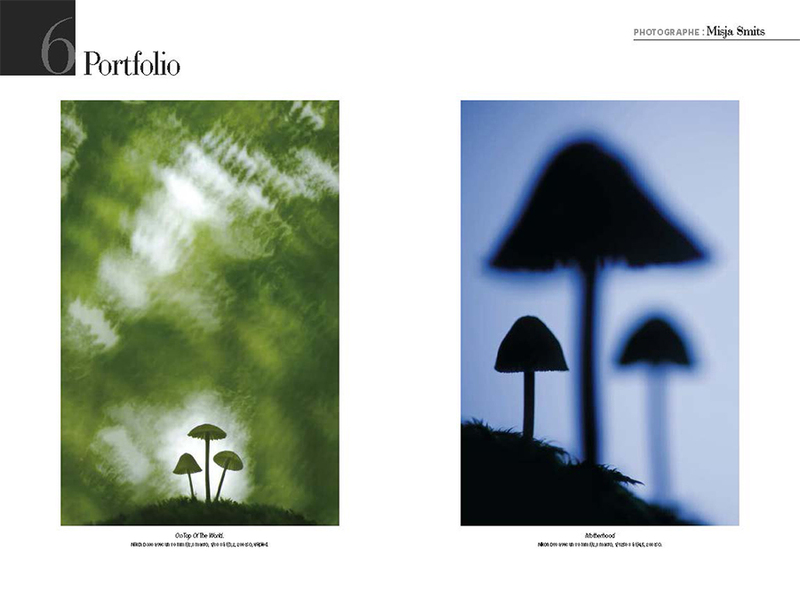 The magazine turns out to have a genuine love for macro photography, showing in total no less than 7 portfolios of macro photographers, knowing Thomas Delahaye, Christophe Hayet, Cyrille Grillère, Daniel Wambach, Yann Le Bris, Patrick Goujon and me. What a pleasure to see so many beautiful pictures printed full page and what an honour to be among these talented photographers. 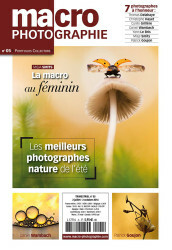 Thanks a lot Macrophotographie for giving me this very first French exposure. I wish you all the best for the future! The Dutch photo magazine Focus has published an article called ‘Macrotweeluik’ in the July issue of 2014. 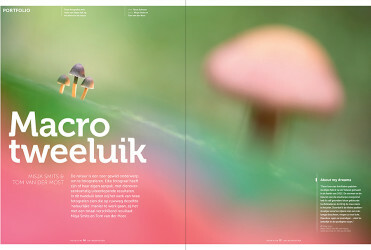 The article shows not only my work but also the work of the Dutch nature photographer Tom van der Most. While both showing macro photos, the magazine points out the differences and the similarities between us. Click here to see the full article.